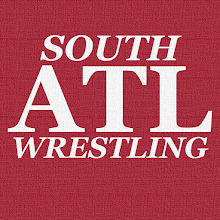 South Atlanta Wrestling: ACTION Wrestling CEO Matt Griffin Talks August 17th Show, Etc. ACTION Wrestling CEO Matt Griffin Talks August 17th Show, Etc. I missed the very beginning of this, but I thought Matt Griffin's thoughts on the upcoming ACTION show, his promotion in general, and honestly just the indie wrestling scene were interesting. Also I'd like to give a big shout out to ACTION Cat.